Once, the guilt of having inadvertently let the night magic into the city―and of having killed her onetime best friend―had threatened to destroy her. But now she’s been Nightstruck, and all her grief and guilt and terror have been swept away―along with her conscience. So what if she’s lost her friends, her family, and her home? And so what if her hot new boyfriend is super-controlling and downright malevolent? Mesmerized by the power and freedom of not having to care about anyone but herself, Becket is sinking ever deeper into the night magic’s grasp. But those who love her refuse to give up on her―even if she’s given up on them. 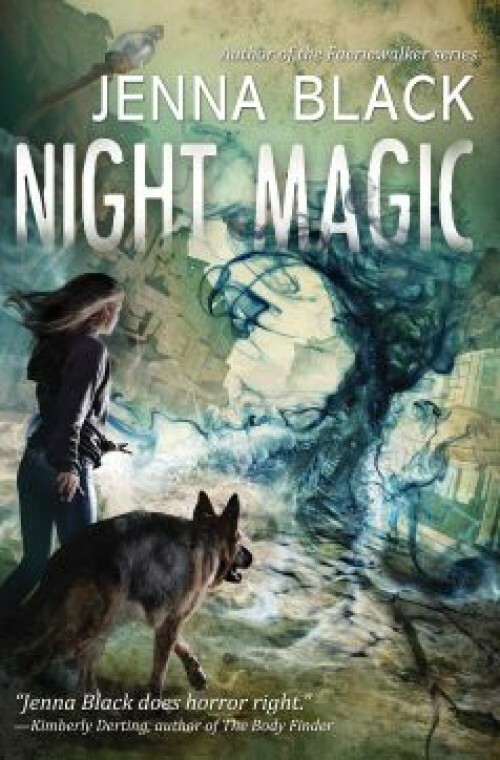 If they can’t find a way to help Becket break the night magic’s hold, the entire city might soon find itself shrouded in perpetual night. But the last thing Becket wants is to be “rescued” from her brand new life, and she will fight tooth and claw to stay exactly where she is. Hardcover (and ebook) available now! It starts with a cry in the night. Becket, a teenage girl walking her dog one winter evening, fears it's the cry of an abandoned baby. 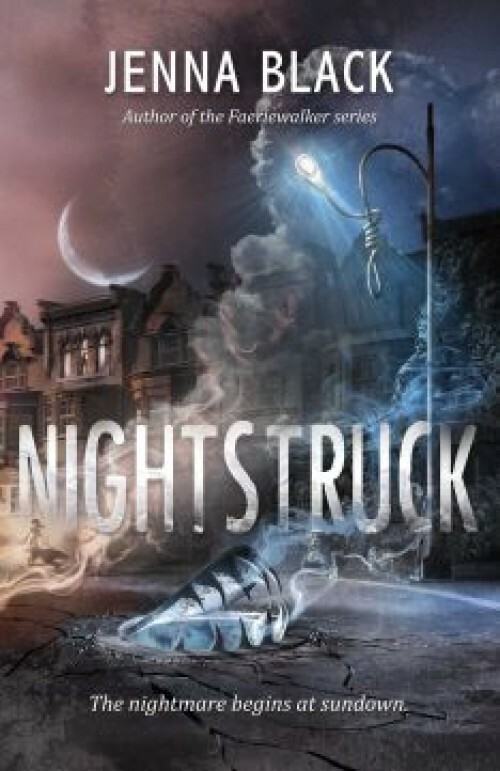 But it is something else—something evil—and it tricks Becket into opening a doorway to another realm, letting a darkness into our world, a corruption that begins transforming Philadelphia into a menacing version of itself…but only at night. The changes are subtle at first, causing Becket to doubt her senses and her sanity, but soon the nightmarish truth is impossible to deny. By day, the city is just a city, but by night it literally comes alive with malevolent purpose. Brick and steel transform into bone, streetlights become gallows, and hungry alleys wait to snare mortal victims. Terrified citizens huddle indoors after dusk, even as others succumb to the siren song of the night, letting their darker sides run wild. Once, Becket’s biggest problems were living up to her police commissioner father’s high expectations and a secret crush on her best friend’s boyfriend. But now she must find a way to survive--and to protect her loved ones--before the darkness takes her as well. Spoiler alert--if you haven't read Resistance yet, you might not want to read the book summary below. Dorothy Hayes claims to be the secret daughter of the recently assassinated Chairman. She also claims that Nate Hayes, the true heir and her supposed brother, was the one who murdered their father. Nate and his best friend, Nadia Lake, are the only ones who know the truth about what really happened to the Chairman, and more importantly, the truth about Dorothy. But with Dorothy in power, Nate and Nadia know their days are numbered. 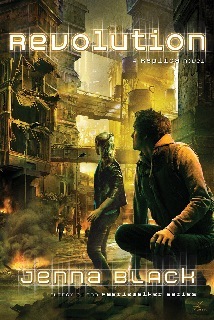 They have nowhere to run except the Basement, Paxco's perilous and lawless slums. But Dorothy is far from content with drivine her enemies into hiding. Copyright © 2014 Jenna Black. All rights reserved. Website design by Web Crafters.